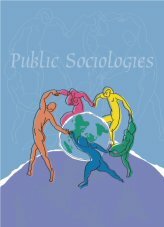 Richard Swedberg "Public Sociology and Economic Sociology: Introductory Remarks." Michael Burawoy, "Public Sociology vs. The Market." Fred Block, "Confronting Market Fundamentalism: Doing 'Public Economic Sociology'." Akos Rona-Tas and Nadav Gabay, "The Invisible Science of the Invisible Hand: The Public Presence of Economic Sociology in the USA."